I’m your average thirty-something Brummie girl, just trying to find my way through life with my Beagle, Bonnie, in tow, and consuming as much Gin and cake as I can along the way. 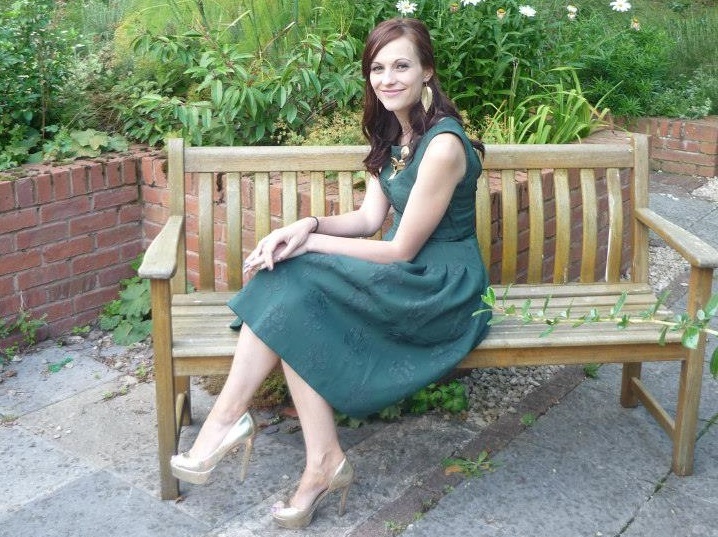 All in a 50’s style frock and a fabulous pair of shoes of course….. I started this blog as a soon-to-be married woman, with the intention of documenting my struggles planning a wedding and swooning over gorgeous gowns, next thing I knew I was 33, living back at home with my parents and trying to work out what the hell comes next, which was, um, different! Things worked out in the end… though I’m still not certain I have any clue where I want to end up! Feel free to join me on my way and see if I ever work it out – I can’t promise you the most exciting read of your life, and I will definitely complain a lot (about work, the weather, people who catch my bus, people who frequent nearby establishments, people in general….) but I CAN promise you lots of beautiful shoes and dresses and amusing anecdotes about the dog and the random acts of idiocy I commit on a fairly regular basis. Who knows, I might even impart the odd gem of wisdom here and there. Thank you, Steph! I love your blog too! Hi Steph, I would like to feature some of my blogging friends in my dress of the week postings . I would love to start with you , with your latest post , the 5 pound dress. Would you be interested in being featured , I would be able to link your blog and say lots of nice things about you!! Just let me know , Hugs, Terri xo. I have you featured this week Steph ! Thanking you for your permission , hugs Terri xo.